More than 120 volunteers from Touchstone Energy (TSE) electric cooperatives across the country are participating today in a project to build two energy efficient Habitat for Humanity homes in Fairview, Tenn. Jo Ann Emerson, CEO of the National Rural Electric Cooperative Association and a former Member of Congress from Missouri, will be one of those volunteers. In order to participate in the project, volunteers from 35 co-ops will be coming to Nashville prior to the start of the National Rural Electric Cooperative Association’s 2014 Annual Meeting, which kicks off on Monday, March 3. More than 8500 electric co-op leaders will be attending, making this meeting the largest event yet in Nashville Music Convention Center. “It’s a privilege for me to work alongside so many dedicated co-op volunteers,” said Emerson. “A concern for community differentiates not-for-profit, member-owned cooperatives from other utilities, and for us today that community is Fairview. We’re not only going to be building houses, we’re going to be spreading the message about the value of energy efficiency,” Emerson said. “Middle Tennessee Electric’s mission is to provide affordable, reliable, safe electricity and outstanding member service,” said Chris Jones, President of MTEMC. “We are honored to have our cooperative colleagues volunteering their time to help grow and promote energy efficiency in our service territory, building on the core principles of a not-for-profit member-owned cooperative,” Jones said. The volunteers will be building one home starting from a concrete slab and finishing a second home. 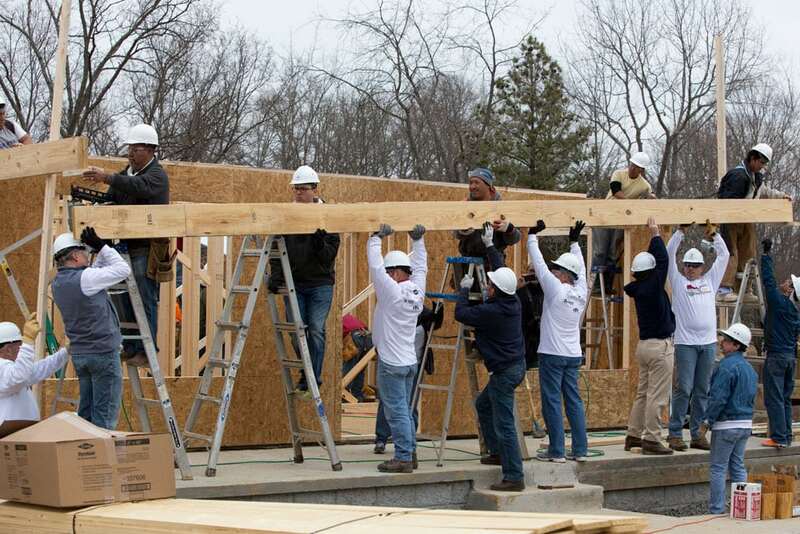 While the volunteers hold a variety of jobs at their co-ops, in general these volunteers have a higher than average skill-level in wielding caulking guns and installing insulation. And those who can’t caulk will be walking through the neighborhood handing out Touchstone Energy’s “101 Easy Ways to Save Energy and Money” to the neighbors. The Tennessee Electric Cooperative Association provided lunch for the volunteers.